Industrial symbiosis is an industrial ecosystem where unused or residual resources of one company are used by another. This results in mutual economic, social and environmental benefits. 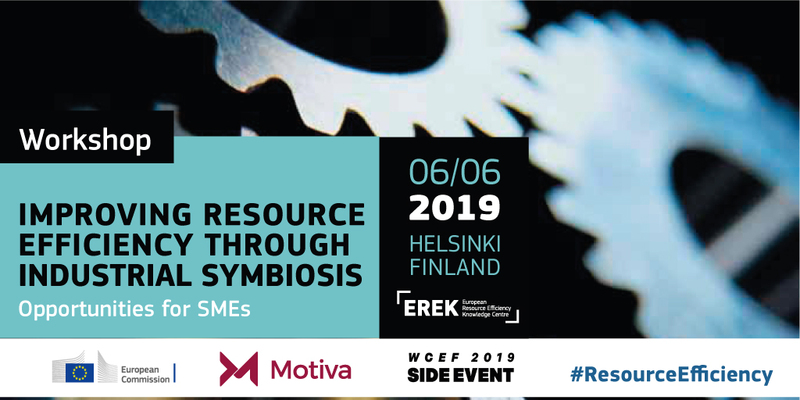 Industrial symbiosis promotes cross-sectoral collaboration and supports local and regional growth, creates jobs, and fosters industrial clusters that share a mutual interest in resource efficiency and circular economy. • Share knowledge and experience in implementing programmes related to industrial symbiosis and achieving resource- and associated financial savings in SMEs. Aside from the presentations, you will have to meet our resource efficiency experts for a personalized coaching session in order to get familiarised with the EREK tools. The agenda and more information are available here and you can register by clicking on this link. Have a look at the upcoming and past EREK Workshops!